With 2012 nearing its end, TorrentFreak gives us an annual look at the most-pirated titles across various categories, starting today with TV-Shows. 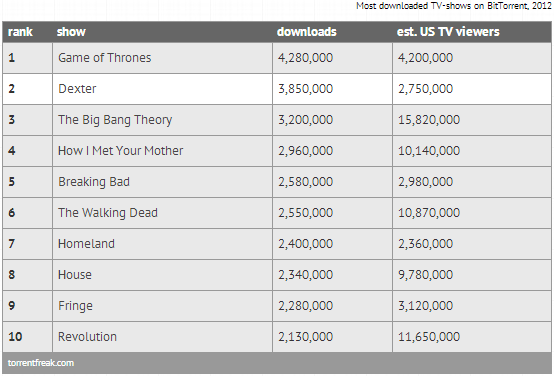 Game of Thrones comes out on top this year, followed by last year’s number one Dexter. Episodes of both shows are shared among millions of people, with airing delays and limited legal download options among the key reasons to pirate.